Living area of a Two Bedroom with Lake View. Kitchen facilities in a Two Bedroom Poolside. Our two and three bedroom apartments with well equipped kitchens are perfect for family holidays or groups. 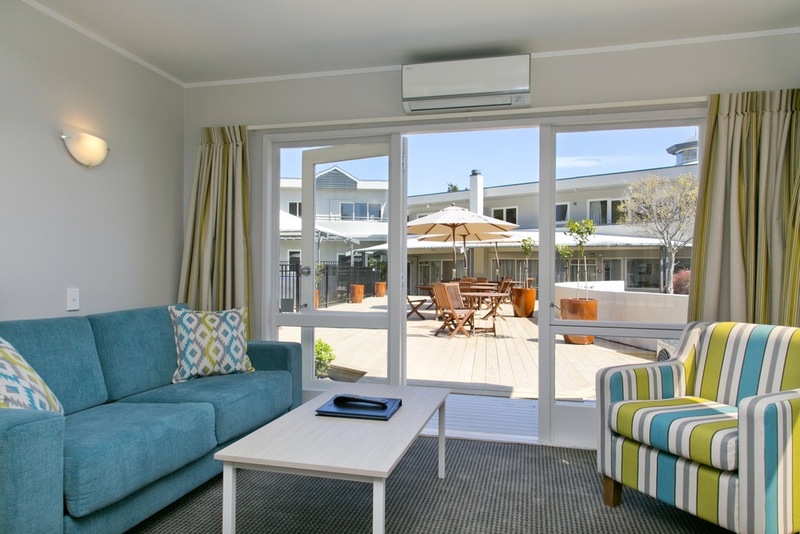 Ideal for couples and corporate travellers - our large and luxurious studios and one bedroom units with king beds. Our large outdoor pool area has a heated fresh water pool, heated kids' pool, and a large outdoor spa pool. We also have and indoor spa pool and sauna. In October 2016 we installed a solar powered heating system to help heat the hot water for our outdoor pools in a environmentally friendly, sustainable way. Unlimited, complimentary wifi throughout the property. 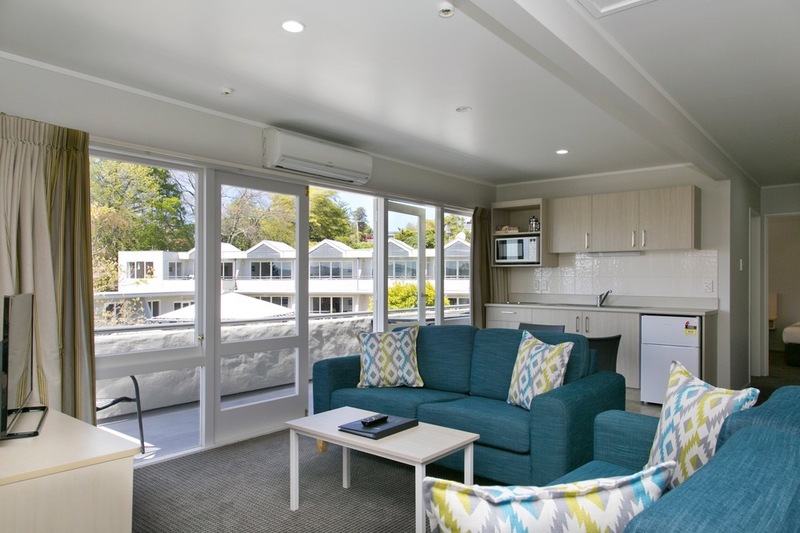 Read about things to do in Taupo, share your Taupo holiday with friends and family, or catch up on the latest must watch TV - in your room, on your private patio or balcony, or while lounging by the pool. Smart TVs with Netflix, YouTube and other apps installed, just log into your account and stream away! Well equipped kitchenettes or full kitchens, and if the weather is nice use one of our free guest BBQs. 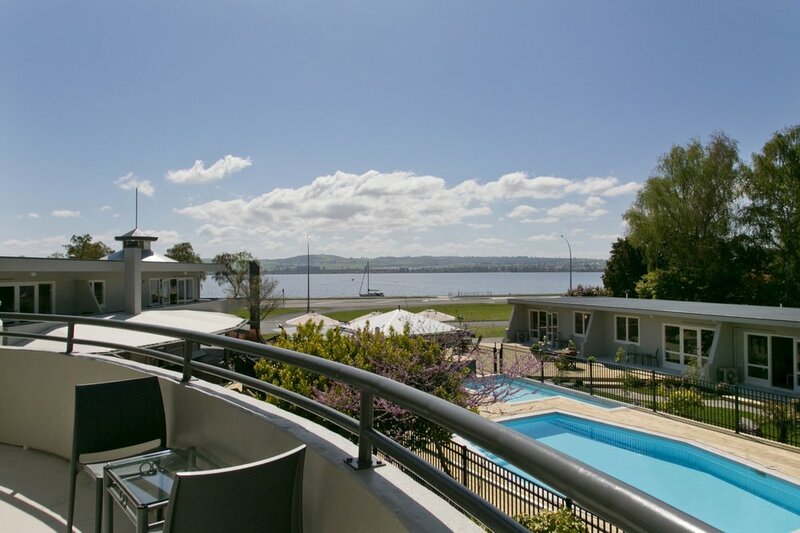 Anchorage Resort received a 2019 Trip Advisor Travellers’ Choice Awards as one of the Top 10 Best Hotels for Families in New Zealand. You can give credit towards accommodation, or create an all inclusive package. The choice is yours, and we can help you build the perfect package to suit your budget and the recipient.